By The Eagles. By Stephen T. Young. Arranged by Kirby Shaw. Pop Choral Series. Country, A Cappella, Pop. Octavo. 12 pages. 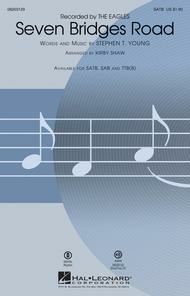 Published by Hal Leonard (HL.8203131). This iconic song by the Eagles from the late 1960s speaks directly to the heart with thrilling vocal harmonies that will showcase your ensemble at their best! 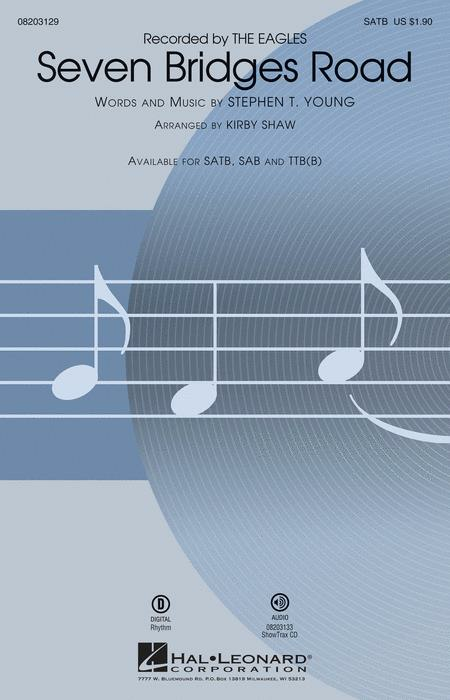 “There are stars in the Southern sky/Southward as you go/There is moonlight and moss in the trees/Down the Seven Bridges Road.” Available separately: SATB, SAB, TTB(B), ShowTrax CD. Rhythm parts available as a digital download (gtr, b, dm). Duration: ca. 2:55.